Chandigarh, February 11: Faced with intra-party division, the main Opposition party, Aam Aadmi Party (AAP) is going to face a lot of embarrassment at the Budget Session beginning Tuesday. Since the party stands divided following the rebellion by some of its MLAs led by former Leader of Opposition Sukhpal Khaira, its majority is only symbolic. 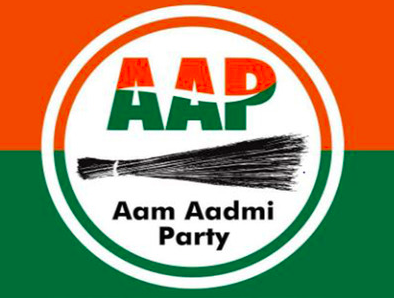 AAP has 20 MLAs, of whom three have resigned from the party, while five are members of the rebel group. So technically, the party has 20 MLAs to show, but only 12 are with it. It is probably the first time that the main Opposition party is in the face of such a situation. The Speaker is yet to take a call on the resignations of Bholath MLA Khaira, who has formed Punjabi Ekta Party, Jaito MLA Master Baldev Singh and Dakha MLA HS Phoolka. The Speaker has called Phoolka for discussing his resignation on February 20. While Khaira is likely to skip the Session, Master Baldev Singh will be in attendance, but will sit with five rebel MLAs — Kanwar Sandhu, Nazar Singh Mansahia, Jagtar Singh Jagga, Pirmal Singh and Jagdev Singh Kamalu. Leader of Opposition and Dirba MLA Harpal Singh Cheema said Phoolka would be sitting at his designated seat with AAP. Cheema said the members were technically still a part of AAP. Cheema has already written to Speaker Rana KP Singh to disqualify Khaira from the Assembly after the latter formed a new party. However, Cheema has not asked for the acceptance of resignation of Phoolka and Master Baldev Singh.